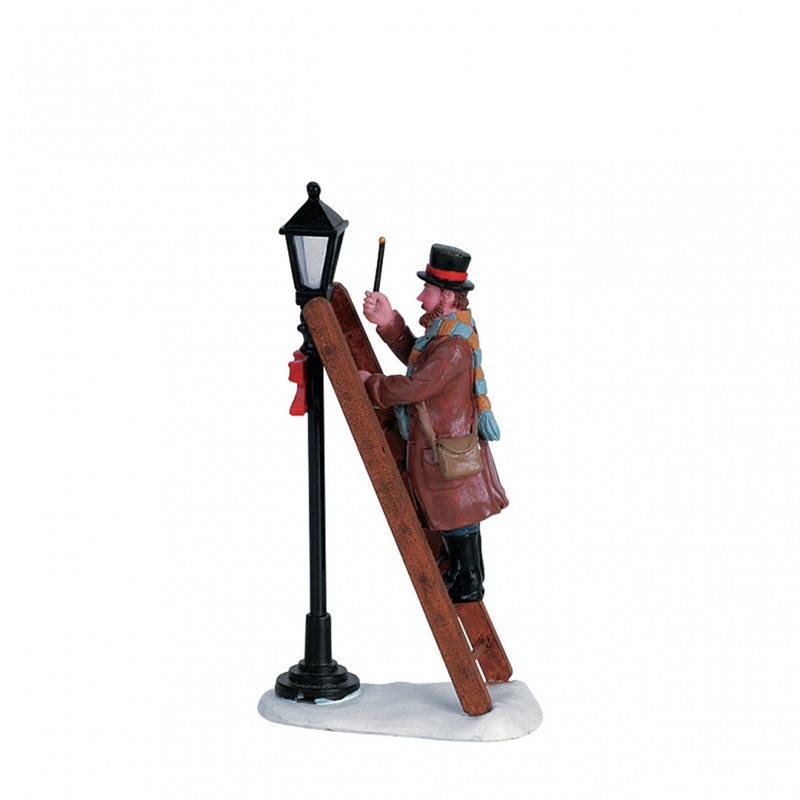 Lemax Lamplighter Figurine depicts an evening occurrence in the victorian era where a dickensian gentleman stood on his ladder to light the night time gas lanterns in the street. Ideally placed in a Caddington themed Dickensian Lemax village street setting. Lamplighter has been enjoyed as a Lemax Village scene figure since 2006, and still going strong! Lamplighter is a single individual hand painted polyresin figurine mounted on a single snowed base to compliment your seasonal Lemax Caddington Village Christmas display.